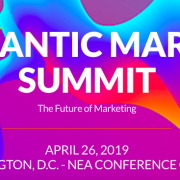 The good news: a very kind industry contact has invited me to speak on a panel titled, SEO in 2019: New Strategies, New Tactics, at the Mid-Atlantic Marketing Summit in Washington D.C. on Friday, April 26th. The bad news: I need to prepare to speak in front of hundreds of marketing and communications executives throughout the region attending an event to discuss high-level issues through a series of panels, keynotes, presentations, exhibits, and networking. OK, it’s not all bad (just a little intimidating), and I’d be lying if I said I wasn’t really looking forward to the Marketing Summit. In addition to my genuine interest in FischTank’s practice areas, I’m equally interested in why and how public relations can impact marketing. This is why our team has put so much time into understanding the intersection of Public Relations and SEO, the practice of utilizing media relations and content marketing to impact search engine results and position. This is a strategy we employ for our clients that conduct their business primarily online, generating leads to support business development, increasing traffic to ecommerce platforms, and other objectives that come with the daily grind of online marketing. “In a world of links of dubious value, true, expertly done PR generates not just publicity for the business, but good links that continue to reverberate throughout search engines. We typically see media earned links as some of the most valuable links when conducting SEO analysis. 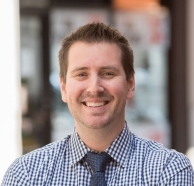 I’d encourage everyone to look at their business for hidden opportunities for press.” – Josh Greene, CMO for The Mather Group and the moderator of the upcoming panel at the Marketing Summit. As someone who is immersed in both client management and business development, I frequently hear from companies about the roles that online search and SEO play in their business. For some of the more B2B and niche companies, especially those selling an expensive product or service, it’s important to own the first page of Google for searches around your name or the industry you serve. For B2C companies of all sizes, especially those exclusively selling products online, it’s not that online reputation isn’t important — it is — but hyperlinks pointing to your corporate URL and product pages are critical to driving revenue. PR for SEO is now a focal point for many modern marketing programs, serving as the ultimate intersection of public relations and SEO/digital marketing. Over the years, I’ve seen many PR firms offer SEO and SEO firms offer PR, both without truly understanding how the functions can work hand in hand. Now, PR for SEO is more important than ever as a long-term investment that should not be ignored by CMOs and marketing execs. As the founder and CEO of an agency that offers this type of service, I’d like to provide more insight on how you can effectively leverage PR for SEO. What Is PR For SEO? For media relations and communications folks, the PR aspect of an SEO campaign is likely quite similar to what you’re hopefully already doing with clients today. We’re all familiar with how contributed content in the form of bylines and op-eds are an effective communication tool. They demonstrate expertise and thought leadership, and the published pieces often make for good sales material and social media fodder. However, many companies either fail to understand or simply don’t prioritize the benefits of SEO that come with contributed content. These pieces are generally accompanied by a short byline of the author, typically a corporate executive, that includes a hyperlink to the website. This hyperlink is extremely valuable. When a credible website publishes your corporate name URL, Google and other search engines recognize this through algorithms as a supporting reason for why your site (and brand) is credible and should rank higher. Further driving the SEO function, your contributed piece should incorporate keywords relevant to your product and business. The ability to secure the piece with keywords and on-brand focus, coupled with the corporate mention and URL inclusion, should now play a prominent role in most any organization’s marketing program. Now that you know how PR for SEO works, make sure you understand the ins and outs of how to do it with credibility. Before creating content, identify a list of online news sites that are open to receiving contributed insights/op-eds. Use SimilarWeb or SEMRush to get an understanding of a site’s digital audience or unique visitors per month (UVMs), a number that supports the quality of the news site and thus its published hyperlink. Alex Deckard, an SEO Manager for Aeroflow Healthcare, reviews the total number of backlinks for a website, and also its most popular pages to better determine what that site’s audience is really looking for. He pays close attention to topics covered by the publication, knowing that content that’s relevant for his company will thus improve its ranking on Google and other search engines. It’s important to understand the value of content writing and thought leadership. If you choose to hire a PR firm to lead your program, make sure you find one that understands this. It’s not as simple as just drafting an article and changing words around to repurpose it for other publications. Most quality news sites seek completely original and company/product-agnostic articles. After all, credible news publications have dedicated readers that deserve creative and insightful content. This means your organization cannot write an op-ed about the company itself, but more about the industry or various trends experienced as an expert within the sector. By publishing a good article, you will likely experience more article-sharing and general buzz on social channels like Twitter, Facebook and LinkedIn. A good public relations professional should understand these nuances, and have the capability to produce solid content to power the PR-for-SEO program. Once a few articles have been successfully placed, the process should get easier to repeat. Frequent brainstorming with corporate executives helps keep content fresh, which cannot be understated. By identifying timely topics and providing value to the publication, a high-volume PR-for-SEO strategy is very achievable. There are a number of resources for digital marketers to measure more technical as well as traditional KPIs. Speaking traditionally, bylined articles are great sales and marketing tools and are commonly featured on corporate websites and social media platforms. Many digital marketers and SEO specialists who manage and work with PR teams use a combination of KPIs to ultimately determine both short- and long-term return on a PR-for-SEO program, including but not limited to UVMs, URL link, quality of the news site, social shares, total link quantity, and long-term search engine position and rankings for specific online searches. PR for SEO is very different than more technical onsite SEO upgrades and link-building, and must be viewed as a long-term project with significant upside. It can take days or even weeks to develop an article and identify the right news website for submission, and sometimes even longer for it to publish. 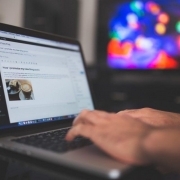 These articles often stay online forever, meaning the content reflecting your current brand and values may become a permanent search result for your company and for the name of its author. An op-ed submitted today may one day result in site traffic and sales of next year, meaning the long-term value of a PR-for-SEO campaign is something that must be featured in any marketing and communications program.